Little known in Europe, Quick Heal antivirus has a solid reputation in other countries. Here, we offer you a trial version of its most complete product Quick Heal Total Security for download. The software provides quality antivirus protection combined with antispyware, antimalware and firewall. Quick Heal also protects you against ransomware with a dedicated shield. The security suite also includes tools to protect you on the web, both when you check your emails and if you need to check your bank accounts. A parental control module is also available: it proposes, for example, to restrict access to websites but also to set time slots. Finally, Quick Heal Total Security also highlights an optimization tool to improve the computer's speed while boosting its performance. It is also possible to register for the "TrackMyLaptop" service to track your laptop in case of theft. G DATA Internet Security 2019 presents a combination of technologies to protect your system from viruses, hackers, spam and other threats related to Internet use. It also includes parental control to ensure the safety of your children. 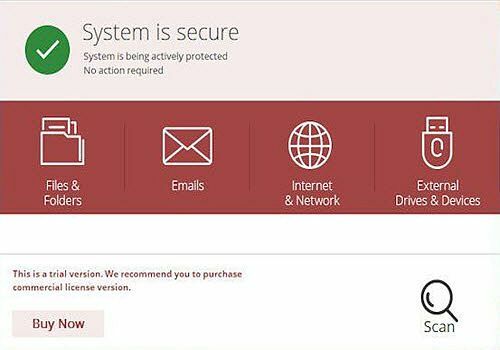 G DATA Total Security 2019 is a security suite that protects your PC, browsing, email, banking, etc. It also ensures the backup of your data, the optimization of your computer and the safety of your children. A high-performance, high-end security solution for complete system and personal data protection. Ad-Aware Pro Security has been designed to provide you with the most effective protection possible. This suite is particularly recommended for people who want extreme security for their machine. Get rid of "Windows can't find rundll32.exe" and Windows can't find other error messages with a single click with this Automated Assistant. Protect your PC from cyber threats without impacting your system's performance.